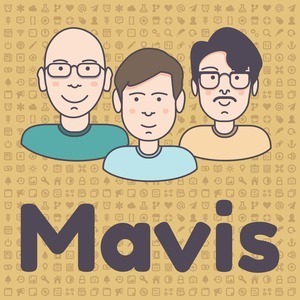 We found 10 episodes of Mavis with the tag “apple”. An Apple-heavy episode in which we discuss Jules’ new iPhone, AirPods cancellation, AirPods, AirPods and AirPods. This episode is packed full of golf, iOS applications for cars, books, new pens, notebook changes and Apple products. Recorded during the SpaceX Demo-1 mission, we discuss a few Kickstarters related to stationery, Jules’ new wallet and the Panobooks we finally got our hands on, as well as frequent updates on how cool space is from Jordan. Facebook & Google have their Apple enterprise certificates revoked, which means we can chat about how much we dislike them again! We discuss the issues relating to how Apple handled the FaceTime privacy bug, and Andrew shares his experience editing podcasts on the iPad Pro using Ferrite and an Apple Pencil. Jordan is back from his travels, and after follow up we discuss the changes Jordan is making in his stationery and digital life, alongside our issues with digital notes organisation. Andrew makes a special purchase and digs in to the fountain pen world, then discusses his new 11” iPad Pro, how he’s set it up and his general thoughts and review on the device and it’s accessories. After a break, we have some catching up to do! We discuss Apple’s September event, Surface’s October event and the new MacBook Air’s, Mac Mini’s and the long awaited iPad Pro’s from Apple’s October Event! Andrew has new devices, Jordan has been doing more reading and wants a Kindle, wrapping up with Jules and Andrew catch up on what our 2019 planners will be! Andrew has taken the simple approach to his desk as the corner-extension arrives soon, oh and we have Mavis stickers! Julian has a new Surface Go device and found his iPhone to be helpful for staying in touch with work-things. Lastly, we discuss designing software with a colour-filter active, Andrew rages at Teams and the upcoming Apple & Surface events! Microsoft buys GitHub and appoints Xamarin CEO. Moving swiftly past tvOS, we discuss the changes in iOS12, watchOS 5 and macOS that matter to us and Jules and Jordan discuss WSLtty and terminal emulators in Windows. Back in to the swing of things, we catch up on our Theme for the Year’s, and how it’s affecting our productivity, routines and life overall. Julian goes all in on iPhone and loves his new Apple Watch. What colour is a Klingon’s blood? Andrew’s Turn Touch arrives, Jordan is using MindNode and Andrew is trying to be aware using Trello. Jordan finally takes the plunge on an Amazon Echo Dot, and the HomePod goes in to preorder!